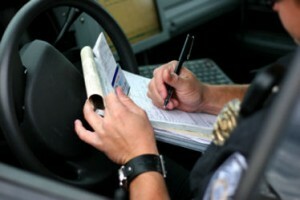 Traffic Tickets in Florida—Why Fight Them? At some point everyone who lives and drives here is bound to get a Florida traffic ticket, and if you haven’t yet—more power to you. Even the elderly can sometimes put a little too much pedal to the metal, which happens quite a bit here in Miami. There is something about the weather that makes everyone want to feel the breeze. Because they occur so often and most do not have a criminal record associated with them, sometimes people forget that it’s not always in their best interest to just pay the ticket. That’s why I’ve been saying, “Don’t Pay That Traffic Ticket” since 1988! Over time a traffic offense can end up costing those who pay it much more money than if they had fought it. People tend to forget that tickets all have a point value attached to them. The more points you accrue on your driving record for a traffic offense, the higher your insurance premiums. Each ticket adds between 3-6 points to your driving record. That means even a single ticket can add up to $300 a year onto your premium or increase your insurance premiums by 20%. A lot of people overlook that type of money because it is distributed over the course of 12 months, but over three years time that’s nearly $1000 dollars and over five years it’s $1,500. Should you have additional moving violations on your record, it can get quit high indeed. Eventually, with enough points, the State of Florida will take your license. It only takes 12 points in a year to lose your driver’s license. A lot of people are under a false perception that this is hard to get 12 points on your driver’s license record. It’s not, actually when you consider multiple tickets can be written in one stop. Driving over the speed limit is 4 points. Driving over the speed limit with rapid or improper lane changes because you are late for work can be another 3 points for the improper change, and 4 points for reckless driving and a trip to the jail if the cop is having a bad day. In one stop you can easily accumulate 11 points and all it would take is a single failure to stop fully at a stop sign within the year to lose your license. The thing about bad luck is that it seems to clump up on most people. Accepting a ticket is not always the answer, especially when it can come back to haunt you later should you have another violation. The courts and judges don’t think less of you if you fight your ticket. Cops don’t take it personal when you fight it, after all, they’re getting paid for court time – even overtime pay. You have every reason to want to fight your traffic tickets in Miami, and if you don’t want to—we can do it for you. 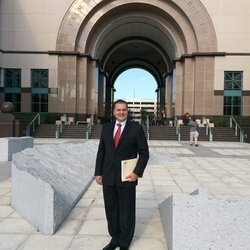 As a Miami ticket lawyer, I have been highly successful in helping our clients fight their traffic tickets and get a clean driving record. In fact, I founded, Ticket Law Center – “The Ticket Lawyers” in Miami in 1990. We’re not a ticket clinic or high volume fast food legal operation. We’re a trial law firm and I personally see you and map a defense strategy. My team of lawyers and I personally handle your case. You are not a case number to me but if I take your case, you will join my family of clients forever.